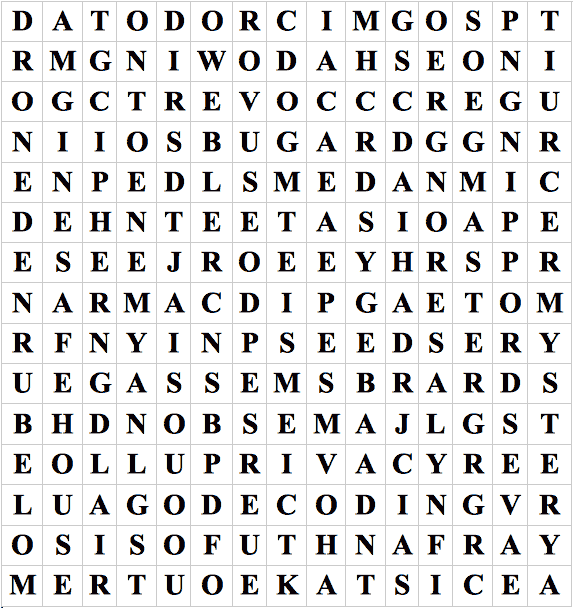 Did you participate in our spy word search, and have you found the letters that are scattered across our site? And have you managed to make a word out of it? That place was the starting point of our search for the 'Rid-e-Cool Mission'. 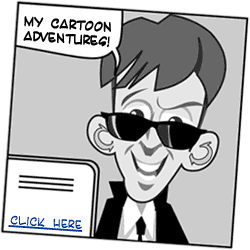 A snitch mentioned a possible suspect, and to uncover more evidence, Mister E. was sent out on a mission to recover secret papers! After doing an extensive sweep of the premises, Mister E. found a manilla folder holding a spy word search puzzle. Had it not been in the manilla folder, it probably wouldn't even stand out, but apparently this puzzle was important enough to keep a record of in it's own file. We think that the puzzle might be used to send a message to this suspect, maybe to make him go somewhere. As you can imagine, to catch the thug, we need to find out what this message means. But time is of the essence. Please involve yourself in the search for the hidden message. See the puzzle below, and find out what it means! Hint: The words can be written in any direction, horizontally, vertically, diagonally, forwards, backwards. Scratching out the words may reveal the true message!